Famous for: Bird Sanctuary, Sightseeing, Photography, Walkers Point, Boating, Experience Seeking and Wandering, Wildlife Spotting, Paradise for Ornithologists, Connoisseurs. Entrance Fee: The fee for entering into this lake is Rs10 for all adults and Rs5 for children (between the age group 0-15 years) and senior citizens. You pay Rs10 for taking along a photo camera and Rs25 for a video camera. Visiting Time: This beautiful lake opens for visitors from 8:30 AM in the morning and shuts down only at around 6 PM. The premises remain shut on Tuesdays. Visiting Duration: Between 30 minutes to 2 hours is the average time of duration that you might spend here. This permanent haven of almost 147 species of beautiful migratory birds, with an expanse of cyan blue water across 55 acres, all clubbed with aviary, butterfly parks and museum on the bank would definitely seem magical for anyone with even a little knack for things that scream of history and nature. 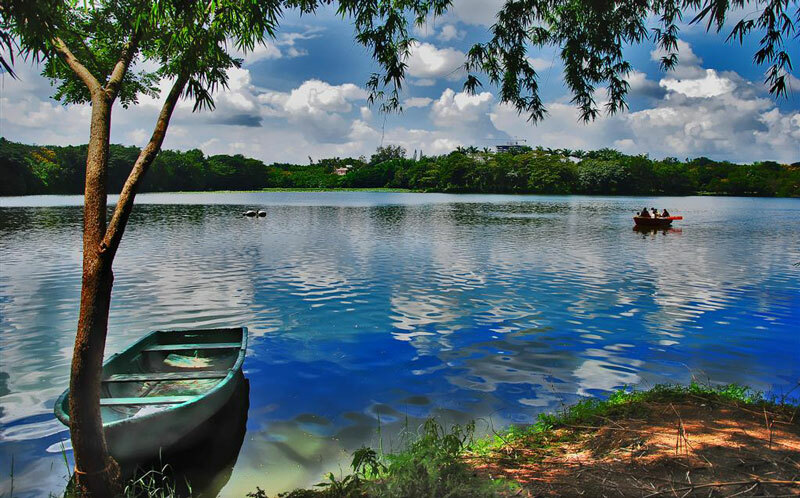 Nestled among the Chamundi hills by Mysore, Karnataka the Karanji lake promises you with numerous things to do and even better memories to take home. Cycles are available at Rs 50 per hour at the entrance itself. So, the fitness-freak of nature-enthusiast in you will have a wonderful time cycling across the parameters of this beautiful, engaging lake. Boating is not available all seasons of the year since it will depend on the quantity of water in the lake which may diminish. Not a lot of stuff to appreciate here in the peak summer days, so avoid planning your trip during peak summers. You’ll find a breathtaking canopy of lush trees inside the premises that make it an ideal spot for picnicking or idly walking or merely admiring the nature’s bounties with your dear ones. Remember, plastic is strictly prohibited inside the premises. Restrooms for visitors are in the parking lot of the lake. Carry food and water along with you. There’s also a children’s corner wherein you can engage your toddlers in case they aren’t too entertained by nature. Recently restoration programs have been launched to revive the lost sanctity and hygiene around the place. Make sure you maintain utmost care about the cleanliness of the lake and the gardens. Do not litter. There is a watch tower that has been recently built to help the ornithologists have the most amazing time spotting birds. A nursery of medicinal plants allows you to take back home and tease your neighbors with rare, exotic varieties of plants and trees. The lake also provides you with boating facilities. In a separate section, called as the Butterfly Park you can chase down rare, really pretty butterflies. Nectar and host plants are grown here to attract butterflies. There’s also a separate Orchid Park here that displays an array of gorgeous orchids. By the banks of the Karanji Lake, stands the Regional Museum of Natural History with its epitome of knowledge and historic relevance. There’s a bird aviary, India’s largest, that you so cannot miss to glance. The place is free for personal observation and interpretation purposes and is devoid of guides along your tour. Mornings in the months between September to January would be an amazing period to come here. Reach Mysore by train, flight or roadways. Once in Mysore, The Karanji Lake is at a distance of 2km from the Mysore Maharaja Palace and very close to the Mysore city bus-stand too. All modes of transportation are viable. The Karanji Lake is renowned as one of the largest lakes of Karnataka, spread over a magnificent 90 acre out of which 55 acres is covered by the hydel region while the residual 35 acres is the foreshore region . The ruler of Mysore had originally constructed this Lake not for sightseeing purposes but it actually served as a central multi utility percolation water tank. The aviary that stands on one of the banks of the lake is “ the biggest stroll through aviary ” of the nation. The Karanji tank as built by the ruler was used for primarily as a drinking water source for the residents along with other various chores like washing apparel, bathing. 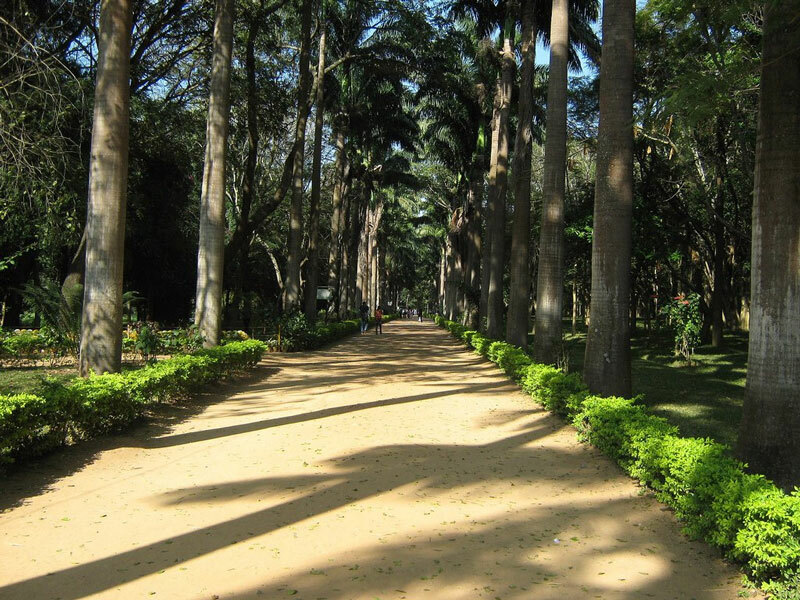 The ownership of this lake shifted to the Mysore Zoo Authority in 1976 and it is currently efficiently maintained by it. There rests a giant fountain which spurges water to as much as 40 feet above which is a sight to behold and a feature much prided upon here. This is why it has also been given the name of Fountain Lake. Apart from tourists nationwide, the Karanji Lake is also a favorite vacation destination for migratory birds per say herons, cormorants, red water lapwings, black drongo, booted warbler, ibis, painted storks, egrets and sandpipers. Choose an appropriate time of the year and trot down here to experience bliss in its purest form.